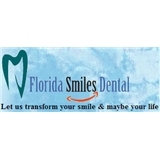 Florida Smiles Dental (Lighthouse Point) - Book Appointment Online! Welcome to Florida Smiles Dental! We are an experienced dental facility that focuses on the patient experience and offering state-of-the-art technology to take care of any dental need. You’ll be welcomed with a friendly greeting each time you step into our office. Florida Smiles Dental strives to care for all of our patients as if they’re members of our own family. We have a variety of patient amenities available to help you truly relax during your time at the practice. Our noise-cancelling headphones help you eliminate the general hustle and bustle sounds of our office, and we have blankets and bottled water for your comfort needs. If you prefer, we can play comforting background music during your procedure. Simply ask a member of our team for any of these comforts. Very personable, professional and timely. He explains everything. He's a perfectionist as I am. I'm a physician and I will continue to return to this Dentist and if he stays with the practice a long time will send him friends as new patients. Alexandra was very friendly and highly professional .